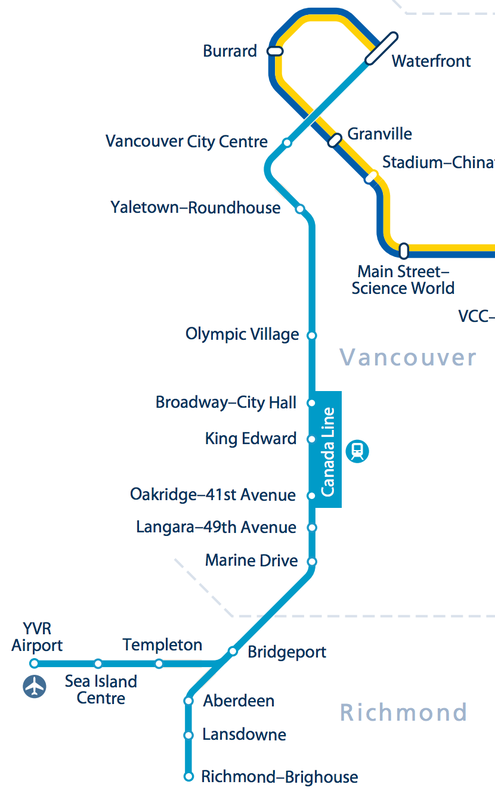 Translink: Vancouver has an excellent public transit system, with frequent and inexpensive service from the airport (YVR) to the Vancouver City Centre station which is only two short blocks from the conference hotel. [Map of City Centre Station neighbourhood]. The Fairmont Hotel Vancouver is at Hornby and Georgia (near the upper left of the linked map).